Where are all the good men? It seems that all the good ones are taken and the rest are all losers. What do I have to do to find true love? I suggest that they are looking for love in all the wrong places. I actually wrote a book called Looking for Love in All the Wrong Places: Overcoming Romantic and Sexual Addictions a number of years ago, describing what I knew about why people seem to be having such a difficult time finding and keeping a loving partner. One of the other questions I’m asked is “where do I go to meet good men?” They are usually surprised when I tell them. “Good men are everywhere. They are just invisible to you.” They are usually taken aback when I say that. But all of us, women included, where filtered lenses that blocks out millions of potential partners. What’s more, we’re not even aware we’re looking out at the world through faulty lenses. Some just give up, get busy at work, or try to substitute good friends for the joy of partnered intimacy and love. Few people stop and ask themselves why so many of us hunger for love, intimacy, and the stability of a long-term marriage, but instead find pain, disconnection, and divorce. 1. If You Want to Be Happy for the Rest of Your Life, Get Rid of Your Killer Apps. I’m just unlucky at love. Men: You can’t live with them and you can’t live without them. No matter how well things begin, they always end badly. All the good men are taken. As I get older, my chances of a happy marriage are somewhere zero and nil. I’ve been burned before and I don’t want to risk that kind of pain again. With these kinds of beliefs, it’s no wonder we fail at love. Even though our conscious mind is looking for Mr./Ms. Right. Our subconscious mind is saying, “I might as well give a go with Mr./Ms. Wrong and get it over with.” But here’s the secret. Once you recognize your subconscious patterns, you can begin to change them. Here’s how. 2. Surface your unhealthy beliefs and change them. I tell people there are 5,284 perfect partners available for you. Quit worrying. Believe in abundance. There are a lot more potential partners than you can imagine. 4. Become aware of your restrictive beliefs about who you can fall in love with. Let me tell you a true story about how Carlin and I met. We were both looking for love and had addressed our unhelpful beliefs that we weren’t likely to find our perfect partner. After all we had both been married twice before and we’d both been divorced twice before. We didn’t want to be burned again. We had each meditated about the qualities we wanted in a mate. The ones I had written included someone who was: loving, nurturing, attractive, kind, intelligent, caring, and self-aware. As we got to know each other, I found that she had all these qualities. And I had the qualities that she most wanted. But both of us were full of anxiety and worry. We nearly walked away from the relationship before it had a chance to get started. Why? Well, the “chemistry” didn’t feel right. There was something about her that just kept me from feeling that rush we feel when we’re “in-love.” She acknowledged that she was having the same problem. Rather than walking away, we decided to explore what might be getting in the way. I realized that, for me, Carlin’s age was a problem. She was 5 ½ years older than me. She had all the qualities I wanted in a woman, but the age thing just bothered me. It seemed such a trivial thing. I couldn’t believe it was a problem. But it was. It turned out Carlin also had one of those biases that made it hard for her to fall in love with me. I was a few inches shorter than her. Again, consciously height wasn’t a big deal for her, but subconsciously it was. Fortunately we were smart enough to realize that a woman’s age and a man’s height are two of the evolutionary qualities that have been built into our minds over eons of time. Youth is an indicator of the ability to have children. Height is an indicator of a man’s ability to provide and defend. These qualities had some importance when we were hunter-gatherers on the African savanna. They may have little importance now to our happiness, but they operate in the background of our subconscious and often undermine potentially good relationships. We had to work to become comfortable with each other’s “limitations.” But once we admitted, “yeah, I’ve never fallen in love with anyone older than me,” and “yeah, I’ve never fallen in love with anyone shorter than me,” an amazing thing happened. We fell in love. And we’ve continued to be in love now for more than 35 years. Think about the restrictions you may have. They could be conscious or subconscious. Is it height, weight, age, ethnicity, education? These things may really be important to you, but they may also be beliefs that we carry that may not really matter all that much if we shine the light of love on them. In addition to enjoying our life together and loving our 5 children and 14 grandchildren, we also counsel men and women who want to have successful relationships that last a life-time. Come visit us at www.MenAlive.com. You may also enjoy my article 7 Surprising Secrets of a Successful Marriage. 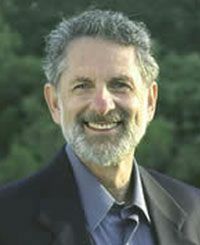 Jed Diamond, Ph.D. has been a marriage and family counselor for more than 40 years. He is the author of 12 books, including Stress Relief for Men, Looking for Love in All the Wrong Places, Male Menopause, The Irritable Male Syndrome and Men Alive: Stop Killer Stress with Simple Energy Healing Tools. He offers counseling to men, women, and couples in his office in California or by phone with people throughout the U.S. and around the world. To receive a free subscription to Jed’s e-newsletter go to www.MenAlive.com. If you are looking for an expert counselor to help with relationship issues, write Jed@MenAlive.com. Or, join Jed on Facebook!